AS part of an 18-month research project looking at how the North West City region can be shaped in light of the economic, political and social realities of Brexit, students from Harvard University are visiting the region this week to commence field study visits. 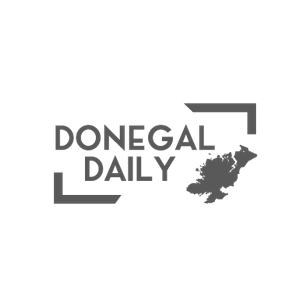 This project ‘Atlas for a City Region’ which is jointly commissioned by both Donegal County Council and Derry City and Strabane District Council, is being led by Professor Gareth Doherty, a native of Donegal. It has been borne out of the unique crossborder collaborative approach adopted by both Councils who are firmly of the view that despite Brexit and indeed the border, this region including Letterkenny, Derry and Strabane has the potential to continue to grow and prosper. The North West City region, which has a history of strong cross border connections, is unique in its offering. The region includes Derry as the fourth largest city on the island of Ireland presenting a population of approximately 350,000. The region is renowned for its rich heritage, culture and tourism offerings and has a growing reputation as a compelling investment proposition across many industries. This research project will look at potential future scenarios for the City region in a post-Brexit era. It will bring a fresh perspective and new thinking to help create a vision that will help shape how the region can grow and prosper, develop resilience in a rapidly changing environment and be in a strong position to respond to the challenges and opportunities presented post-brexit. Students from Harvard University are visiting the region (from 15 to 30 March) including a group of 17 design anthropology students who will be living in local communities and farms across the northwest, including Greencastle, Raphoe, Letterkenny, Manorcunningham and Newtoncunningham as well as Derry, Strabane, and Donemana. These students will engage with everyday life practices in the cross-border region to better understand distinct identities, and the potential impacts of Brexit on the border region. A second group of 12 students of landscape architecture, urban design and planning will also visit the region to engage with its landscapes and future challenges after Brexit, and considering long term challenges such as climate change. Through site visits, meetings with key stakeholders, and their own experiences on the ground, these students will be addressing a myriad of topics dealing with borders and identity, marginality, sexuality, water, mobility, immigration, housing, not to mention Brexit and climate change. On March 27, the students will engage with peers from Letterkenny Institute of Technology (LYIT) and Ulster University and other young people from across the region through a student-led workshop in LYIT. This will be followed by a workshop at Magee Campus in Derry in the afternoon where Harvard students will present their work to date to an invited panel of experts from across Ireland. A joint reception hosted by both the Cathaoirleach of Donegal County Council and the Mayor of Derry City and Strabane District Council will be held in the Guildhall in Derry at 7 pm on March 27 where students will have an opportunity to engage a range of key stakeholders from both Councils and supporting organisations including LYIT and Ulster University. The findings from this research will be presented to a delegation from the North West City region in November 2019 at an event in Harvard Graduate School of Design with plans for an exhibition of the work produced in the North West City region thereafter.